BRUSSELS -- Volkswagen Group can't overturn a trademark for SWIFT GTi granted to Suzuki Motor Corp. by the European Union's Office for Harmonization in the Internal Market, the EU's General Court said. "There is no likelihood of confusion between that trademark and the earlier trademarks 'GTI' held by Volkswagen," the Luxembourg-based court said in a statement. Volkswagen will review the ruling and consider an appeal to the region's highest court, the EU Court of Justice, said Eric Felber, a spokesman for Volkswagen in Wolfsburg. The carmaker's German rights "to the GTI trademark will remain unaffected by the judgment," he said in an e-mail. 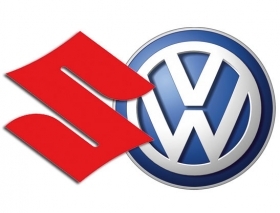 VW and Suzuki are in arbitration concerning a separate dispute over a 2009 cooperation agreement. The Japanese automaker is seeking to force VW to sell back its 19.9 percent stake in Suzuki.